Red Frog Beach is an operating full service and profitable resort. We have assembled a talented team of engineers, architects, designers, and environmental scientists to bring to life an island community that is truly extraordinary. 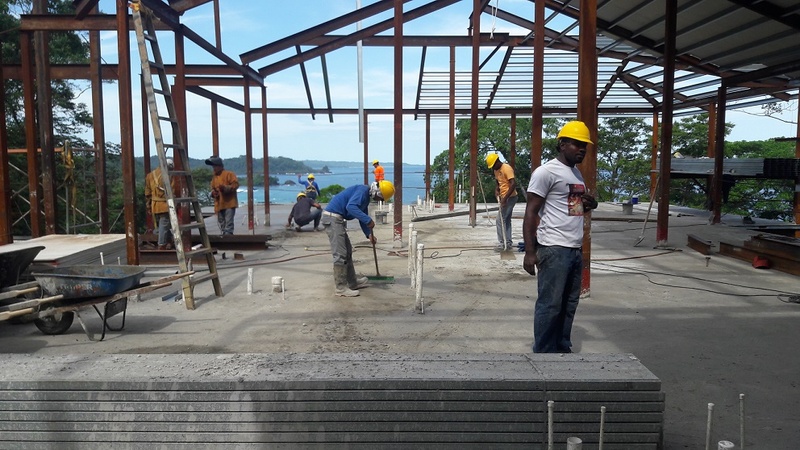 Construction quality is second to none in the country of Panama and we are extremely proud of what is being created here. Just opened in 2018, the La Rosa Beach Club has added a key amenity for property Owners and vacation guests. 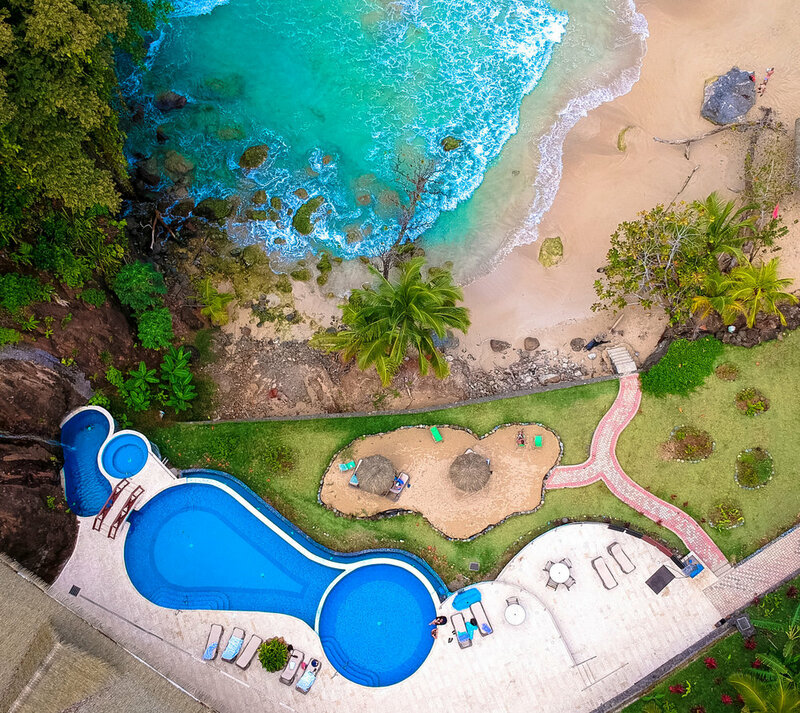 La Rosa Beach Club was designed by Latin American architect Bernal Saborio, who assisted in the design of the award-winning club and pool at Los Suenos Resort in Costa Rica. The facility is made up of five levels that includes a restaurant, event meeting space, a bar and pool level that features an intricate infinity-edge pool consisting of a jacuzzi, water bridge and pool for children. You will also enjoy a 34-foot waterfall. The beach bar, made from colored natural driftwood, displays hanging log light fixtures from the resort’s teak plantation and mosaic-rimmed mirrors that reflect the beautiful scenery of the area. 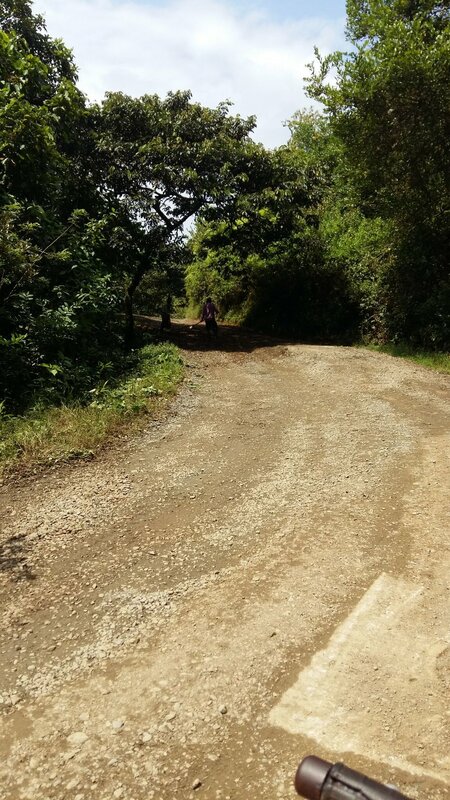 Paving the roads throughout the resort will drastically enhance the experience for Owners and guests when completed. The paved roads and new island golf carts will align with the resorts completion sometime in 2019. The resort is very spacious and there are over 2 miles of roads to pave. The signs and sounds while moving about the resort through the nature preserve is one of the reasons that make Red Frog Beach unique. This Villa was a custom design by the Owner who created a 6 bedroom floor plan with individual private entrances for each room to maximize rental income ($300 to $600 a night per room). It is located on Turtle Beach and walking distance to the new beach club. A lot of detailed attention went into the design and the decor looks fabulous. The Owner of this Villa mainly rents this villa year round. We have implemented key infrastructure that offers conveniences to our guests and confidence for our investors and Owners. Our state-of-the-art waste water treatment plant is one of the best, Red Frog is one of the world's largest island resorts supplying solar energy. Our underground wells provide fresh spring water to our Owners and guests. Other key amenities include logistic center, employee housing, educational facility, restaurants, grocery store, marina bathhouse and fuel station, canopy zipline, nature preserve, high speed internet and communication infrastructure, resort welcome center and Bocas town office. We are very proud that this entire resort has been built on what was once deforested grazing land...there are more trees on this island than there was a decade ago!